Hey, guess what? If we’re talking about professional bicycle racing, and we’re not talking about the now-retired Lance Armstrong, can you guess what happened? Yep, that’s right smart cookie, another professional cycle racer has tested positive for performance-enhancing drugs. In this case, it’s three-time and reigning Tour De France champion Alberto Contador who failed a drug test and has been suspended. Contador’s failed drug test came in this year’s race and was detected by a World Anti-Doping Agency lab in Cologne, Germany. 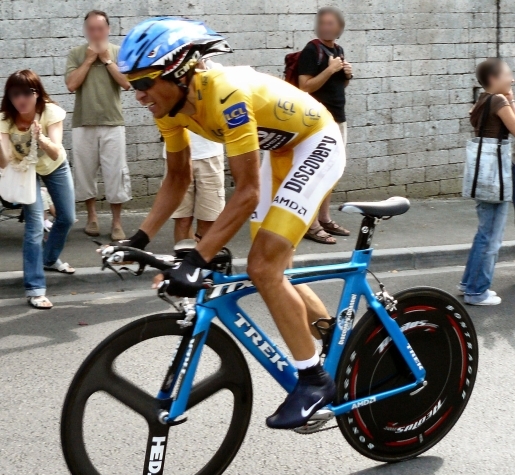 Contador was busted for the fat-burning, muscle-building drug clenbuterol. The amount found in Contador’s blood sample was 400 times below the limit needed to fail a drug test, but because it was uncovered, Contador was suspended pending further results. According to Contador’s publicist, Jacinto Vidarte, the amount of clenbuterol discovered is due to food contamination, not a question of Contador doing illegal substances while racing. Keep talking, Floyd Landis.